Last weekend our Digital Marketing Manager, Emma, ran 13.1 miles on the Great North Run. A gloriously sunny day, made only better by the warmth and welcome of the North-East. 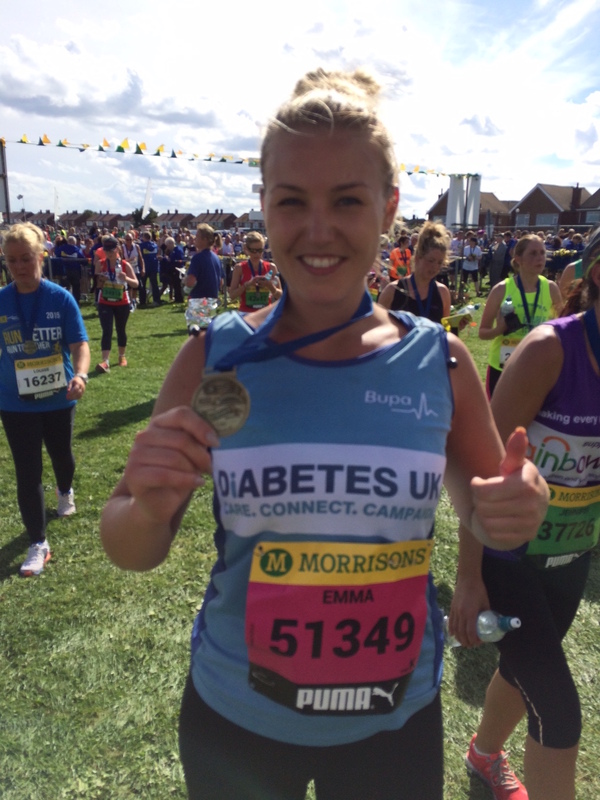 Emma was running in aid of Diabetes UK, her chosen charity, to raise awareness of the masses of support and care that they give to Diabetes sufferers on a nearly daily basis, which a lot of us don’t realise. The Great North Run is an amazing annual event, with the start line in Newcastle town centre, and the finishing line parallel to the coast in South Shields. A great day out for all, made only better by the generosity of everyone who sponsored. On to the next! Here at Ultimate we pride ourselves in doing great things not just at work, but outside of work too. That’s why we love to shout about what we get up to, and you can read all about our other events and adventures throughout the blog!